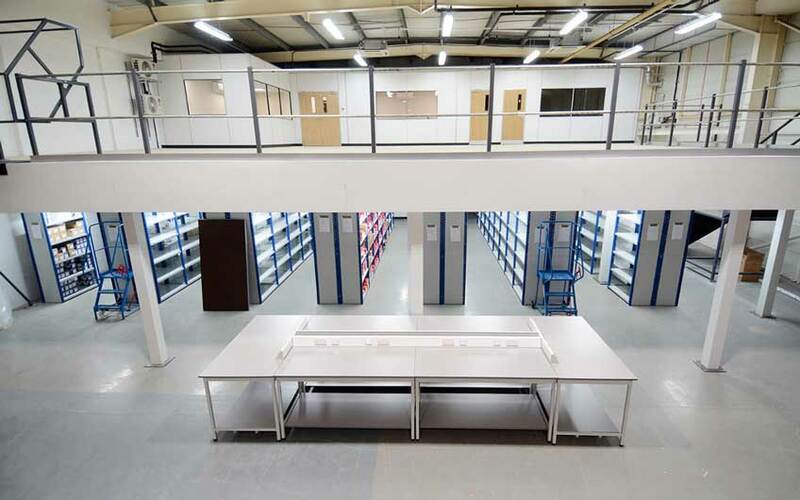 Here at Teepee Warehouse Solutions, we specialise in mezzanine flooring design and installation for office, storage and production environments. 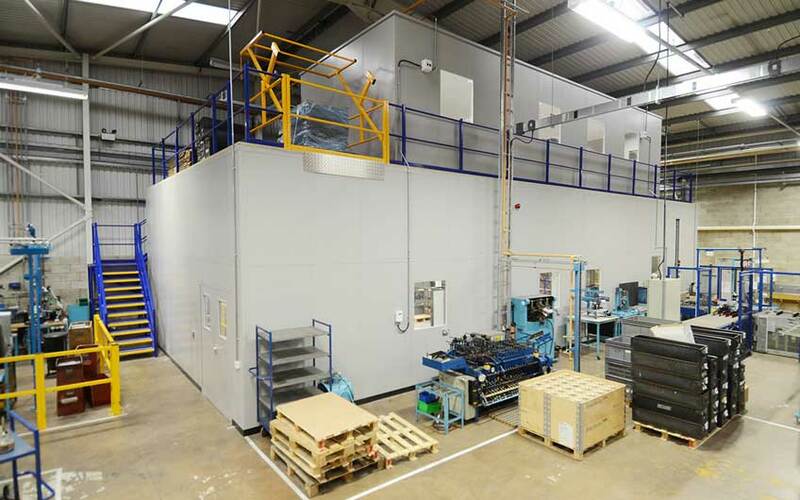 With space utilization being a common concern among businesses, mezzanine flooring provides the much needed additional space without the high costs and time used to relocate to a new premise and therefore mezzanine floors are a cost-effective alternative to increasing your work and floor space. Individually designed to suit your workplace requirements, mezzanines of any shape or size can be installed. These include a single level floor to a multi-tier project. 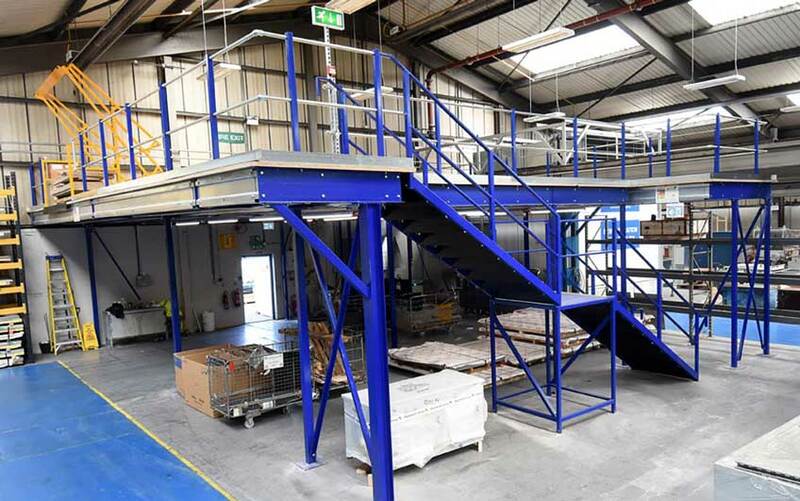 Our mezzanine floor installation, design and manufacturing abide by all the legal requirements and mezzanine flooring regulations including BS5950/6399 and SEMA guidelines. Mezzanines are modular designed and fully demountable – allowing a fast and efficient installation and if the required, relocation. 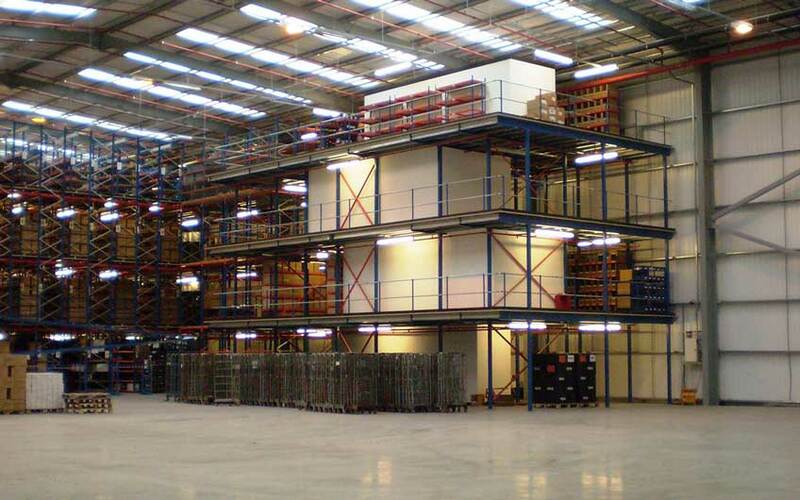 All mezzanine floor construction requires building regulations approval. Teepee is able to assist you with this matter by liaising with independently approved inspectors or your own consultants, providing a hassle free transaction.